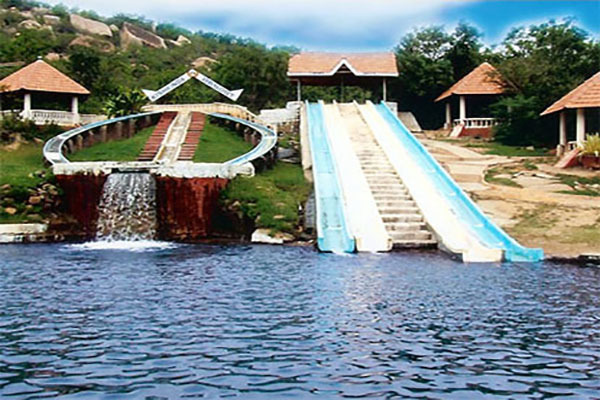 Kishkinda Water Park, Anegundi, near Virupapur Island, Hampi. Is just 3 Km – across the Tungabhadra River and UNESCO World Heritage sites “HAMPI” The Resort spread over 8 acres surrounded beautiful hills, the spreaded 2 Kms Lake behind, the water flows down on rocks, the cascades, pools, canals, splendour natural beauty, on the other side at front the spreaded green paddy fields, the rich as it is in splendid scenery and water flowing attracts tourist to unforgettable. Kishkinda Heritage Resort offers with the luxurious Suites, Village Ethnic Cottages, along with Water Park allows an escape from the hustle and bustle of everybody life, Children park, water sliding, play ground, the multi cuisine Restaurant offers a delicious indian food, the well arranged conference hall for business meeting, Banquet hall, the green park for wedding, birthday function and family gatherings. 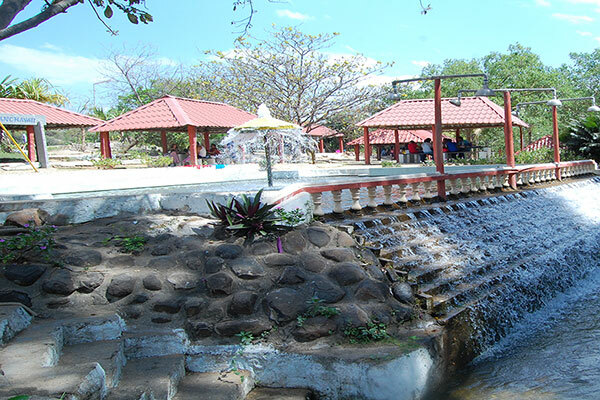 The Tourist/traveler will prefer to have a comfortable holidays with their children when visit to new places. 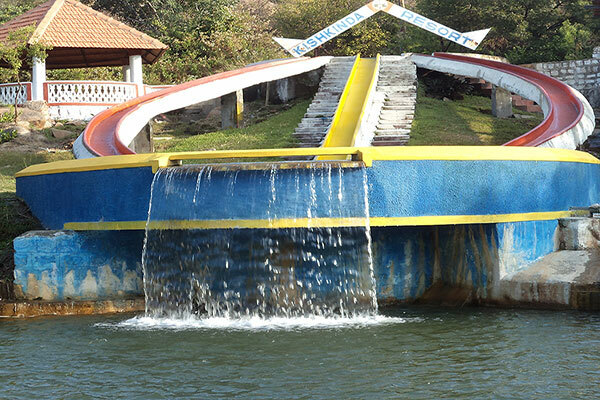 Kishkinda Water Park is a suitable and perfect place for spending holiday trip with family and children. 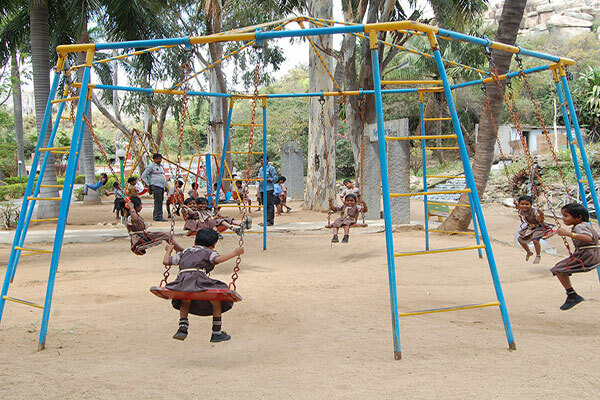 And the best place for school and college students for having picnic or day out. 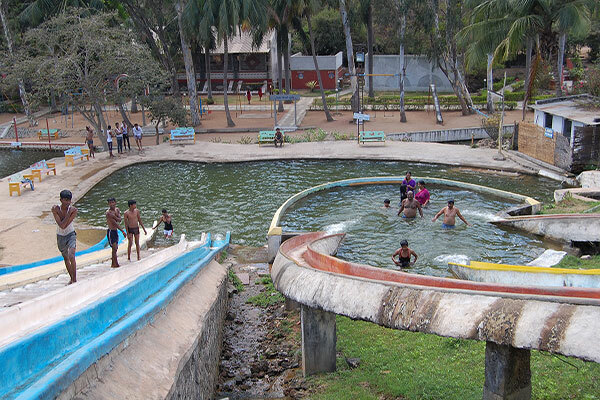 Water Park having Sliding, Swimming pools, cascade, boating, Children Park, play ground. 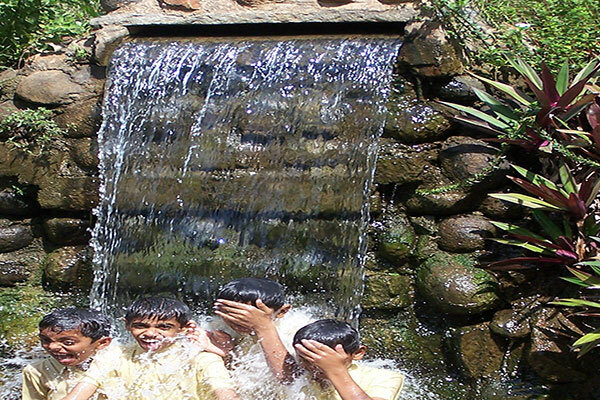 There are some day out package for corporate, groups, school and collage students. Restaurant closing time 10.00 P.M.